Are you ready for possibly the neatest DIY’s out there? 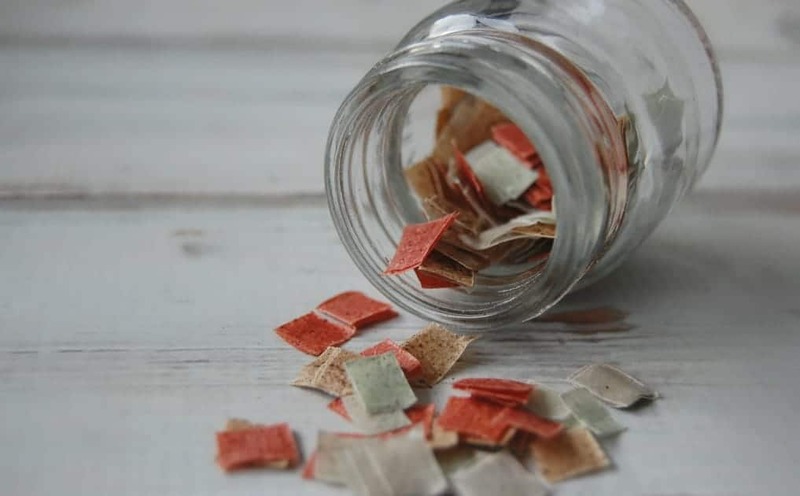 DIY Herbal Bath Confetti! Oh yeah!! 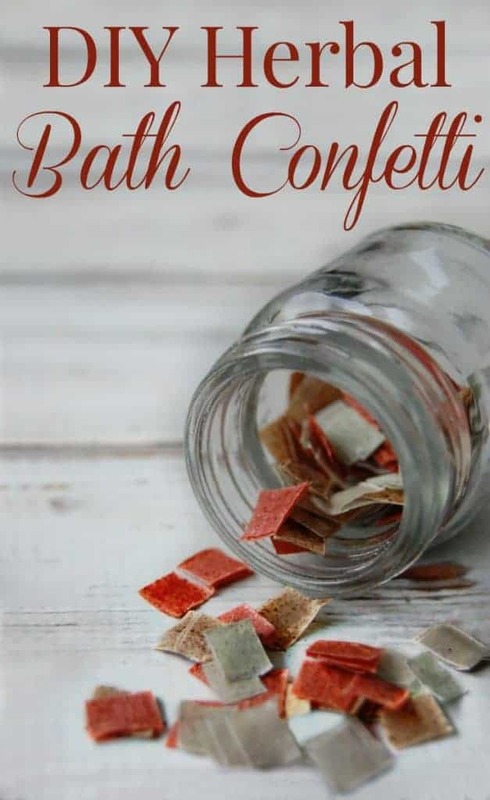 I used to use bath confetti as a kid/teen and then I totally forgot that it was even a thing. Possibly because bath bombs became all the rage but more likely because I started cutting out skincare products that have questionable ingredients… not that there’s much in bath confetti. 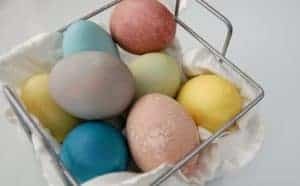 It’s pretty much paper and soap but of course it’s also often dyes and scented. As I was recently remembered bath confetti and I now have girls of my own who would just love to take a bath in confetti, I set out to make my own. As it turns out, there are NO tutorials for the paper version of bath confetti on the internet! None! I was pretty shocked about that actually. In this world, it’s rare to find something “new”! I knew I needed paper (dissolvable paper) and soap… I thought about making my own paper (basically it’s a rice starch paste that is allowed to dry) but I didn’t want to be that DIY and then I remembered seeing this video of DIY soap paper (made ideally for camping trips)! Paper cut up into tiny pieces equals confetti so soap paper cut up into tiny pieces equals bath confetti! Now like I mentioned, bath confetti is often artificially dyed and scented and I didn’t want that! But I didn’t want just white bath confetti…. so I turned to herbs! It’s pretty hard or possibly impossible to dye liquid soap by just sticking herbs in it… plus I didn’t want to wait that long, so we shorten the process by using herb powder or in some cases spices. 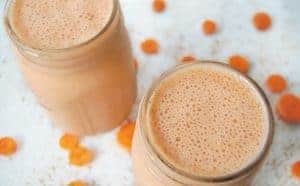 Super easy and you likely have at least some of these herbs and spices in your pantry already! 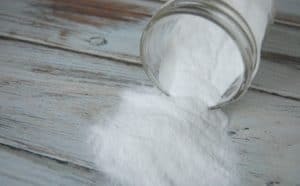 In small bowls, mix a couple tablespoons of liquid castile soap with a pinch or two of herb/spice powder. 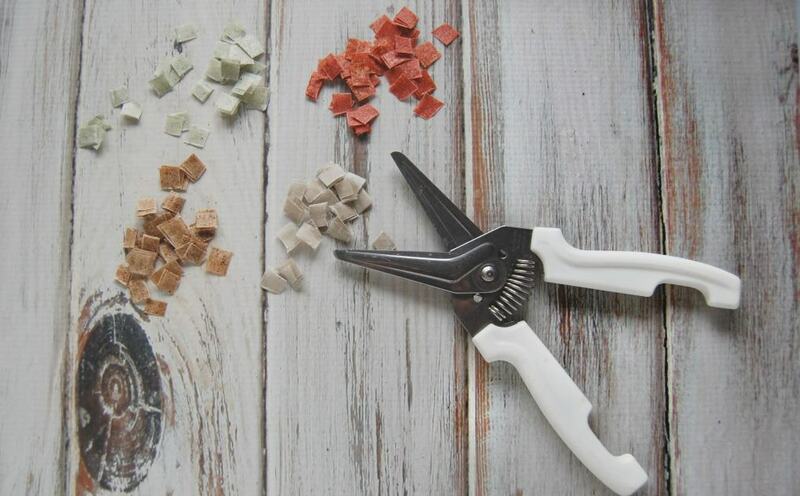 I like to cut sheets into smaller pieces (2×3″or 5×5″) that way I can do a few colors without making tons of herbal bath confetti. 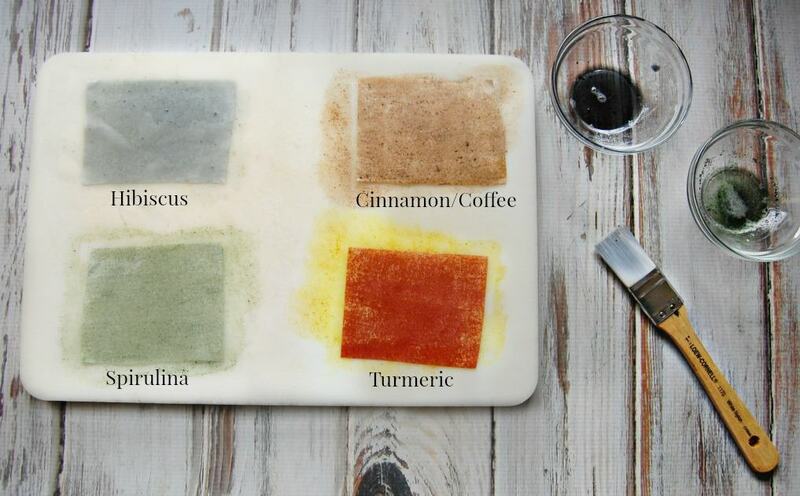 Paint your paper sheets with the herb/spice soap. Paint both the front and back side. You only need a thin coat! Place soap paper onto a cooling rack to dry. It will take a few hours to fully dry. Wow! I’d forgotten about bath confetti too! I’m an herbalist, and also own a handmade soap company. This would be a fun product for children! Thanks for sharing.